Trading in Asia was quiet overnight as celebrations for Chinese New Year kicked off and Chinese markets remain closed. We expect muted trading in Asia across the week, a sharp contrast to recent weeks which have seen US – Sino trade headlines and China growth concerns drive movement. European and US futures are pointing to a quiet start with markets struggling for direction. This comes after US markets closed mostly higher after an impressive US jobs report. US stocks and the dollar charged northwards on Friday after the non farm payroll showed 304,000 jobs were created in January. This smashed expectations of just 166,000 showing that the US government shutdown had little effect on the labour market. Wage growth was a little more disappointing at just 0.1% month on month. Dollar Higher After Strong Jobs Report, But How Long For? 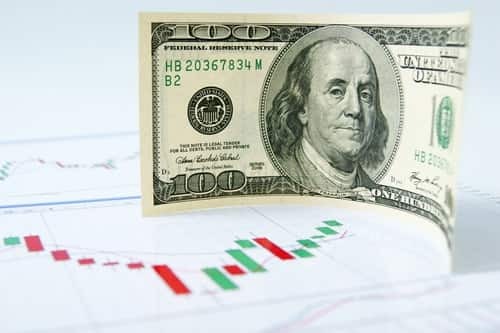 Whilst the dollar surged on the strong headline figure it is doubtful whether the greenback will be able to maintain its strength given the Fed’s new patient approach to hiking rates across 2019. After the Fed’s U -turn towards monetary policy last week, traders will be particularly keen to hear what Fed policy makers have to say as they hit the airwaves this week. Investors will be tuned in to remarks from Cleveland Fed President Loretta Mester on Monday and St Louis Fed President on Friday. Fed chair Powell is due to speak on Wednesday; however, it is unknown whether he will address monetary policy. Gold is moving lower after a 1.3% rally across the previous week. Whilst the dollar strengthens following the strong US jobs report the precious metal will remain under pressure. However, with no plans from the Fed to hike anytime soon, we expect the move higher in the dollar to be short lived and gold to quickly resume its rally back towards $1325. The pound started the week on the back foot as Nissan fired a warning shot on a no deal Brexit. The car maker reversing a decision to manufacture a new model in Sunderland is just a taste of things to come under a no deal Brexit. The Nissan headlines come as Theresa May heads back to Brussels in an attempt to re-negotiate the Irish back stop arrangement, the most contentious part of her Brexit deal. Brussels are still standing firm; they are not prepared to re-open discussions on the Brexit deal, which will make Theresa May’s job challenging if not impossible. With the clock ticking, downward pressure is likely to remain on the pound as no deal Brexit fears reignite.